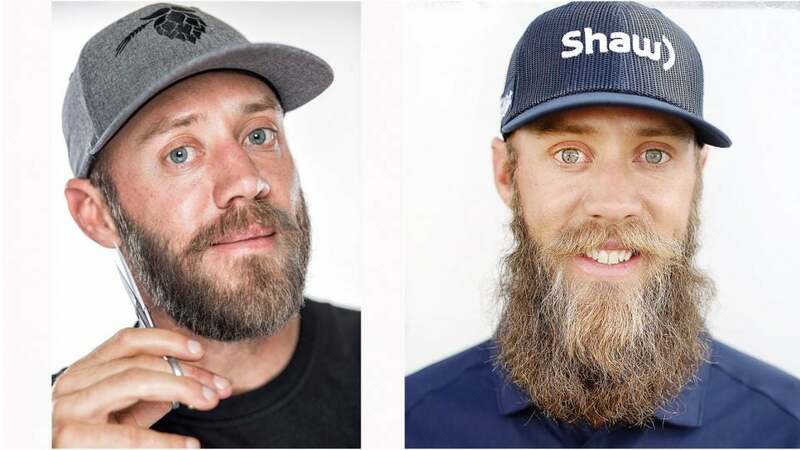 Not shaving comes naturally to Graham DeLaet, the frequently furry-faced Canadian-born Tour pro. In Saskatchewan, where he grew up playing hockey, growing a beard was just something you did in seasonal sync with the NHL. "I'm sure I grew my first beard in high school," he says. "But looking back, it probably wasn't much of one." That golf, with its prim customs, lends itself less freely to the Wolfman look doesn't mean DeLaet has changed his grooming habits. Every year, as the FedEx Cup playoffs crescendo, DeLaet's chin goes the way of a ChiaPet. To say he grows a beard means he grows a beard; DeLaet's not having any of this Frank Nobilo fashion-stubble stuff. "A month of growth is when I consider a beard to have just started," he explains. "At about three months it starts to become a real beard." Facial hair has never been forbidden on the PGA Tour (leave that policy to the New York Yankees), but it's also never been seen as the height of fashion. The list of mustachioed Masters champions starts and ends with Craig Stadler. Even today, on a Tour with its share of tattoos and mullets, you can count the bearded players on two hands. A case could be made that most guys are better off clean-shaven. Tiger Woods may be the GOAT, but the goatee he sports sporadically is misbegotten. As for the beard Boo Weekley showed off briefly, it worked better on Santa Claus. Still, Delaet's basic rule is: the hairier, the better. It helps that his wife, Ruby, does not object. He can think of several shaggy looks on Tour he likes, including Rickie Fowler's short-lived "stache and Andres Gonzales's bewhiskered wildness. But none can match the granddaddy of all hirsute golfers. "If you go way back you'll see that Old Tom Morris wasn't worried about his image when he grew what was probably the best beard in the history of the game," DeLaet says. There are bad things about beards. Babies tug on them. Meals get messy. Not long ago, a few unskilled snips by a Scottsdale barber did so much damage that DeLaet felt compelled to start over. "I'm still upset about it," he says. For that reason, he tends to his beard mostly on his own, which means that his beard goes mostly untended. When the time finally comes for a full-blown shave, DeLaet approaches the task as he does the golf swing: He tries not to overthink it. "It's a quick zip with a trimmer, then shaving cream and a Gillette Fusion," he says. "It only takes a few minutes, but it always makes me sad."